One man’s trash is another man’s treasure. Literally. If you haven’t been hungry and starved for even once in your life, then consider yourself lucky. According to the World Food Programme, around 795 million people in the world do not have enough food to sustain a healthy active life. 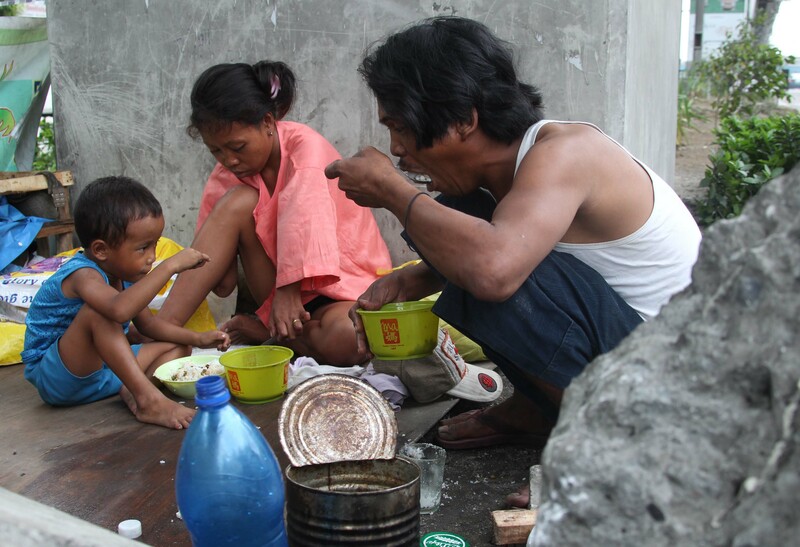 Of these people who live in constant hunger, majority are found in developing regions of the world such as Africa and in countries such as the Philippines. In the Philippines, due to skyrocketing food prices and escalating issues of food insecurity, some people are forced to get their daily sustenance from trash and discarded food items coming from fast food chains. Called in the vernacular as “pagpag” which translates to “dusted off food”, families flock to dumpsites and scavenge for discarded food items that may still be edible. Whatever food is salvaged (which are just mainly chicken meat taken off the bones) will then be washed before boiling, frying, or sauteeing with garlic, oil, and soy sauce. In some instances, the food scavengers also sell their “pagpag” to neighbors and patrons for extra income. Consuming “pagpag” is highly risky, as these food items are already possibly contaminated and may be harboring pathogenic organisms which can lead to enteric diseases. However, these families have no choice. It’s either you eat pagpag or die of starvation. Seeing the significance of this otherwise downplayed issue, Filipino documentary filmmaker Giselle Santos produced a short docu on the plight of these food scavengers. Entitled “Meal of the Day”, the documentary focused on the harsh reality of food insecurity in the Philippines, seen and narrated through the eyes and the voice of the scavengers themselves. So the next time you are going throw away unconsumed food, make sure to think twice. See how she can unbelievably stretch her tongue to reach her eyes, nose, chin and elbow! She’s really one of a kind! When you were a kid you probably tried touching your nose or chin using your tongue, but have you ever imagined yourself having the world’s longest tongue? Do you find it intriguing? Adrianne Lewis 18 years old, made a Youtube video of herself showing the length of her tongue and its flexibility. A disorder on the esophagus has left this woman unable to eat any solid food all her life. Ever heard of a person who lives off milk and water? Revenge is “sweet” but for this girl vengeance is “fatty”. See how this girl gets back to her ex after being dumped for being fat. Most of the time a break up can be so painful like it's the end of everything. Heart break is common for lovers, there are a lot of factors that contributes to a failing relationship. At times breaking up is inevitable. How do you react after an emotional trauma from a failed relationship?